A corporate client operates from two buildings situated a few hundred meters apart. They were experiencing difficulty monitoring employee, vendor, and visitor movement both within and between the two buildings among other things. HR and Safety departments were vulnerable because data used to be managed manually, making it unwieldy over time. This presented challenges in such aspects as employee work hours or accounting for people during building evacuation in emergency situations. 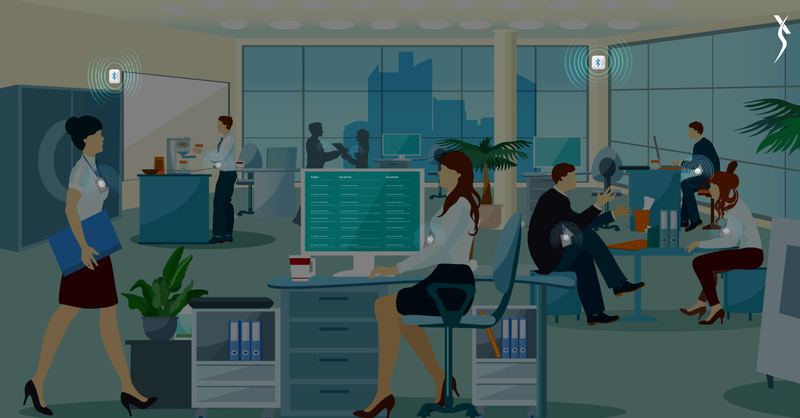 A Rtls Tracking System based IoT solution that exploits BLE Beacon technology was deployed to help track human movement in real time. The technology was embedded in a BLE tag which could be unobtrusively worn on the person to synchronize with and transmit data to a web & mobile application. Beacon gateways were installed at both entry and exit points to record ingress and egress data. To enable visitors to benefit from the system, they were sent invites to complete pre-registration. To help cut down on the time and human intervention for recurring visitors, they were enabled to regenerate the pass as many times as they need to. User data management was complemented by a robust cloud-based web application that included a comprehensive dashboard. Among the many key features, stakeholders can view employee on-campus presence in report form via Crystal Reports. Because the system can be seamlessly integrated with the Attendance Monitoring system, the HR department can make the most of it, saving a lot of payroll processing time. The Safety Department received a bespoke mobile app to scan and track the people being evacuated during an emergency and report on how many people are assembled and how many missing and their last whereabouts. Accurate and tangible data on employees/visitors present at any specific moment in real time. Documentation and the maze of procedures were both drastically simplified. Superior personnel safety was achieved thanks to the robust tracking of employees in the event of an emergency. Greater employee productivity levels were achieved driven by efficient data analytics.